gravity and pressure level in case of water inlet, and rhythms of natural colon saturation for expulsions. All this makes the Dr. Wood Natural Gravity Method very comfortable, practical and natural. A properly functioning Gastrointestinal tract is critical to good health and the natural healing process. 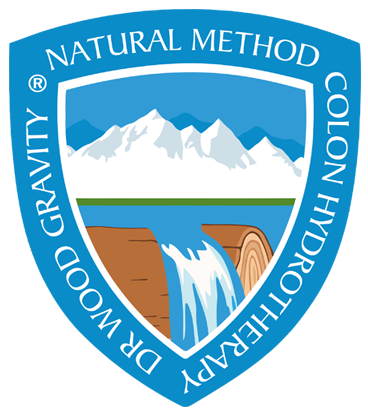 Colon Hydrotherapy is a functional therapy that assists to optimizing the Gastrointestinal performance. Specific study of the Gastro Intestinal System and its relationships with the Health states of the body. There are 2 Course Manuals which are sent to Students, and this must be read before the Course Classroom Lectures. This in order to ensure that all Students have the same theoretical level and understanding of the course matters. This is the most comprehensive course in the world, this course comes second to none. The course is 12 days and it runs 6 days with 1 day off. Given in this manner: 6 Days of Training, with 1 Day Off, and followed by another 6 Days of Training. If there is not a location near you, then we would arrange a course if there are a minimum of 2 and a maximum of 4 delegates per course, wishing to travel to the course in your location. We have taken at least 2 courses one in the England and another one in the USA. This courses are some of the best courses around, even so they did not meet expectations, looking at the course material from both courses should give you a clue, of their status, their lacking or short comings. We then proceeded to compare the material with other course manuals in this process we acquired other schools training manuals both in England and the USA, so we obtained 3 more manuals, this were pretty much the same or worse than the ones we had, but neither were the way we expected, this is to be Colonic Irrigation Manuals. For example we were amazed to notice the total disorganization of the material, no logic sequence and it seemed sometimes that we were on another subject course. One of the courses had two manuals part 1 & 2, it was clear evident that the authors of part 1 were not the authors of part 2, and one wonders if those giving the material ever read it in the first place. As we read all materials we underlined with different colour marks those irregularities, this then were made aware upon our asking and changed, but how many individuals went trough the courses with the wrong information given? After the courses completion and with more research being made and going back to the manuals we eventually discovered that both the lacking and errors in the manuals were at a much greater extent than what we though. These manuals are in the possession of the School and all errors clearly marked in read ink to easily spot them, too many. The school also acquired the first ever course manual on Colonic Irrigation used to train nurses at University level in the USA, this was followed by the acquisition of the manual on Colonic Irrigation for nurse practitioners specialized in Colonic Irrigation in the USA, then we acquired the Chiropractors main Colonic Irrigation manual in the mid 1970's in the USA. We then looked, acquired, researched all the literature on Colonic Irrigation in the last 200 years, for this we travel extensively and spent 5 years obtaining a copy of more than 70% of all books and documentation published in the last 200 years on Colonic Irrigation. For our amazement, when you combine all this information, we found that there is a vast information and research that has already been done. Another thing which becomes clear, in this study of all this research, is the enormous effort that was being done, at the same time by particular individuals in the "allopathic medical" publications at the editorial level to distort, discredit, ridicule much of the clinical evidence being presented, no matter the credentials of the authors of these found evidence in clinical practice. Basically in regards to training all schools are doing pretty much the same thing and that is: they will teach you how to perform Colonic Irrigation not how to practice Colonic Hydrotherapy, these are two different things. Our School teaches Colonic Hydropathy, in which Colonic Irrigation is an intrinsical part in Colonic Hydrotherapy. We have given much thought on the wording here given, it is not our intention to citizen or judge, but we pray that the Light of Christ who Is God, illuminate and guide them. The School has direct access to the Central Library of the Hospitallers Order of the Good News, these include the worlds most complete library on Hydropathy and the worlds most complete set of Books and Colon Hydropathy Articles published in Medical Press both in Europe and the United States of America since records began in 1697. Please Be Aware: Please be advised that they may be "courses" taken else where, that are not, and never have been To The Level with the Technical and Professional Course of the Volksmed School of Health & Pharmacology. If you naively have learned elsewhere we can only utilize, in the best case scenario, the most 30% of that information. Much of what you learn (or not learn) is either incorrect or information is missing from same, the rest you will have to re-learn, and then you need to un-learn what is incorrect, and Learn what is correct based upon, Professional Research & Clinical Evidence spanning more than 200 years, and all corroborating one and each other of careful Clinical Observations, Clinical Records, Clinical Reports, Professional Experience Testimonies and published Scientific Research. Please be advised: The School is aware of "courses" being offered which claim to make you a "Therapist" in around and abound "1 to 2 weeks", this is wishful thinking, those courses after looking at their syllabus and reading material can make an individual a Colon Hygienist not a Therapist. Some of "schools" are "part" of associations, don't be fooled: The Blind cannot lead the Blind: "For if the blind lead the blind they will both fall in the ditch." Know in whom you believe. Know in what you believe. Know the author of thy belief. How few stop to know that! We say we believe - but what? Who is the author of thy salvation? Who is the author of thy faith, of thy hope, of thy aspirations? Man? What man? Only he, who has made the test in giving himself in the service of his fellow man. Please Note: If you have taken a Colon Hydrotherapy "course" else where, we need to see the syllabus and training material/course manual first, along with the number of classroom hours, and clinical practice hours, in order to assess if you have been given the very basic level skills needed in which we can build up. All courses the school provides are valuable, the dedication, the study, the work of research that has been into each and everyone of our course materials either matches or in the majority of cases it outshines any course material from any school, college or university. We consider our course to be invaluable, this is: extremely useful and indispensable. The courses are designed to be as compressive as possible, in other words the course has been designed in the way we expected to have received the course in the first place. The course printed material are detailed in their presentation. You will have a sense of progression and logic sequence. The reasons why for each clinical aspect of delivering treatment are explained in the course material and are shown, and exemplified in clinical training practice during the course. The cost for a Complete Gravity Tank System Equipment with 50 sets, is around £500, when taking the course please indicate if you wish for us to bring you a complete set. You can either purchase from us, or from elsewhere. We can supply you with the Complete Gravity Tank System at Price of Cost, or you can make your own, and source the individual parts elsewhere. The School is a Charity. This course you learn the Clinical Application of Colon Hydropathy in the Treatment of Health Conditions. In order to take the Practice Clinician in Colon Hydropathy Course students must take first the Therapist in Colon Hydropathy Course. In depth study of the Gastro Intestinal System and its relationships with the Health states of the body. There is a Course Manual which is sent to Students, and this must be read before the Course Classroom Lectures. Approximate 500 Hours of scientific study during a 6 month period & 45 hours of Class Room Lectures. The Course Includes Clinical Practice Training in Colon Hydropathy: 24 hours of Clinical Practice Training in Colon Hydropathy. Clinical training during 12 days (Gaining the advanced Clinical and Professional Skills to be in the forefront of the Colon Hydropathy Field of Practice). Clinical Evidence: Access to the vast amount (vast means hundreds) of scientific published research as the basis of every Treatment Plan. Students who attend all class lectures but do not pass the final exam, and or do not wish to retake the exam will be issued an Award Certificate. Students who complete and successfully pass their exams will receive a Course Certificate. Professional Insurance: Students can apply for Professional Insurance if they wish to. As a Colon Hydropathy Therapist or Practitioner, your clients could include individuals wanting to improve their general health and wellbeing, as well as those with certain health conditions who want some relief from their symptoms. Colon Hydropathy Therapists and Practitioners start a session by taking details from the patient about their Health History, lifestyle, diet, and any symptoms or areas of concern. They also then discuss an appropriate treatment programme with the client. - You may massage the client's abdomen and other pressure points. When the treatment is finished, you must follow health and safety procedures to dispose of any body solids and fluids, and prepare the clinical room and sterilise all equipment ready for your next client. Your work may also include giving advice to patients about ways to further improve their health, diet and lifestyle. You may need to refer some clients on to other suitable health care professionals such as Hydropathy Practitioners, Osteopaths or Chiropractors. Colonic training can be a powerful therapeutic tool in any health clinic settings, in addition to other health care treatment clinics, health spas and massage therapy centres or practices. On average a Colon Hydrotherapy treatment session usually lasts 45 minutes to an hour. Typically, the colon is rinsed using 25 to 75 litres of clean filtered and warm water. A separate tube removes the water along with any debris. In addition, the Colon Hydrotherapy Hygienist, Therapist or Practitioner may use other treatment methods such as abdominal massage or relaxation techniques, and may administer any enemas or probiotics, or others. Minimum requisites: Students applying to this Course need to have Anatomy, Physiology and Pathology Course, either as a Course which was taken specific for Anatomy, Physiology and Pathology or part of another course, in which AP&P is given. Please be aware that the minimum amount of Anatomy, Physiology and Pathology classroom hours should be no less than 150 hours. Anatomy, Physiology and Pathology can be taken with Volksmed School or with any other school. What students will have to do in the course: assignments, exams, projects, performances, attendance, participation. Clinical Health Research Materials are issued to Students before and during the Course. 5. The total investment for the complete gravity system is very affordable.